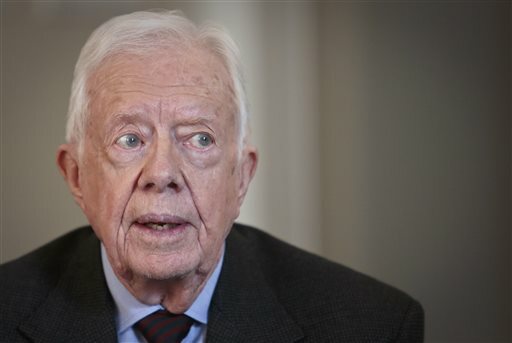 Former President Jimmy Carter says the Bible is to blame for women’s making less money than men in the workplace. In an interview with NBC’s Andrea Mitchell, Carter rattled off some statistics on the issue of unequal pay between the two genders. “In the United States for the same exact work for a full-time employee, women get 23 percent less pay than men,” Carter said. “And in the Fortune 500, only 21 of those leaders among the 500 are women, and in that high level they get 42 percent less pay” than men. Carter spent three years researching the link between religion and the abuse of young girls and women across the world for his new book, “A Call to Action: Women, Religion, Violence, and Power,” which will be available on Tuesday. His research concluded there is a link between religion and how females are treated.